Have you or someone that you love been injured or suffered significant property damage in a Chicago truck accident that was not your fault? Many of our clients want to know, who is responsible for the accident? Who will pay for my injuries? How will I support my family? The insurance company was nice should I accept a settlement? When you need answers to all of your questions and a plan of attack after a truck accident in and around Chicago and throughout Illinois, contact our Chicago truck accident lawyers. During your free case review, we will determine the best course of action. We have been helping Illinois truck accident victims for more than 30 years and during that time, we have successfully recovered more than $2 BILLION in compensation for our clients. How Do Truck Drivers Cause Accidents? There are many ways that negligent and distracted truck drivers contribute to and cause catastrophic Chicago truck accidents that victimize individuals and their families. Unfortunately, the majority of these collisions are the result of dangerous driving practices or simply due to the negligence of the driver and could have been prevented. It’s also important to note that truck drivers, especially those who are on a long haul or who happen to be distracted by smartphones are much more likely to cause an accident. 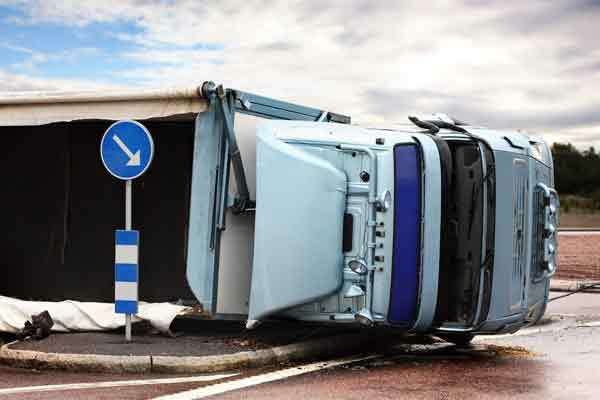 Truck accident victims who are involved in a truck accident can experience anything from mild to severe injuries. Oftentimes, because of the discrepancy between the trucks size and a car, the injuries and the damage are serious. Whether the trucks involved are trucks with attached trailers or semi-trucks the impact is often just as devastating. Many of these injuries will require years of medical treatment and chronic pain management, which can also include lost wages and the inability for the injury victim to return to the occupation they held prior to the accident. As such, any settlement should reflect all of the costs of the injuries. When you need answers to all of your questions and a plan of attack after a truck accident in and around Chicago and throughout Illinois, contact the Chicago truck accident lawyers at GWC Law. During your free case review, we will determine the best course of action. …. and all of the towns and suburbs throughout the county.